This BLT Coleslaw Salad can be made in less than 5 minutes, including cooking the bacon. Made with coleslaw mix, dressing, tomato, parsley, bacon and avocado. 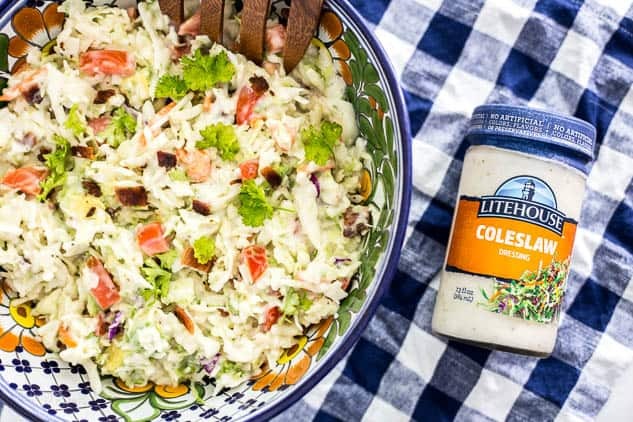 This BLT Coleslaw Salad recipe is a sponsored post written by me in partnership with Litehouse. All opinions are mine alone. With plenty of grilled meats being served this time of year, it’s important to remember sides and vegetables. Our BBQ gatherings usually consists of plenty of meats, and at least a few types at that. To offset this, I’ve made an effort to bring at least one vegetable side to grill parties. 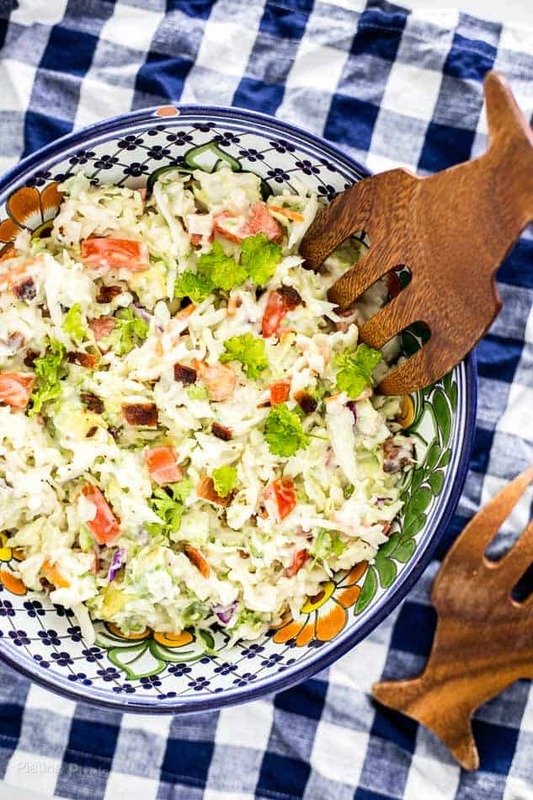 Even better, this 5 Minute BLT Coleslaw Salad combines meat and veggies into one quick and easy side salad. Vegetables make a great addition to any grill menu and most of them can be grilled right alongside the meat. For a simple make-ahead recipe, coleslaw is the way to go. It’s a classic side that is synonymous with summer. The fresh, crisp, sweet and tangy flavors pair well with almost any meat. Coleslaw salads are usually quick and only require mixing ingredients together. But what about cooking the bacon? A hack I’ve used recently is to microwave the slices. Place on a paper towel and cook on high 3-5 minutes, depending on the quantity and thickness of slices. 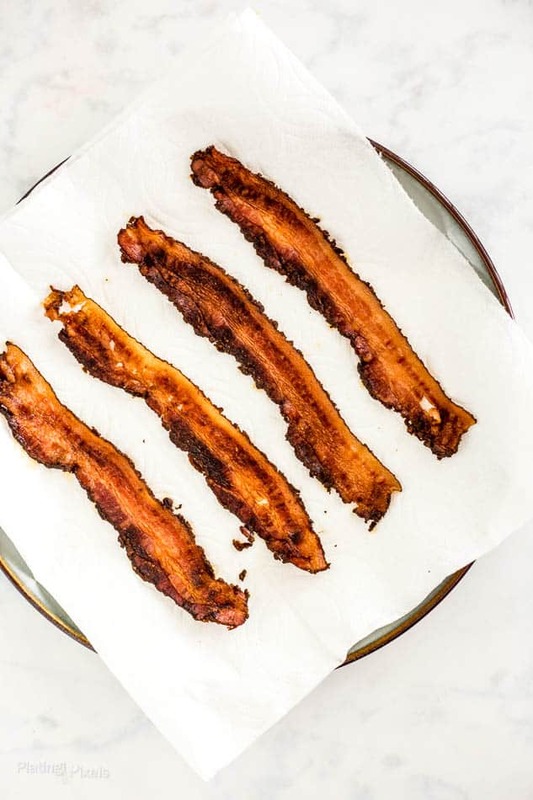 Most of the grease is soaked up by the paper towels and bacon is cooked crisp. Another bonus is you won’t heat up your kitchen with the stove on a hot summer day. While the bacon is in the microwave, mix together the BLT Coleslaw Salad. To save even more time, use packaged coleslaw veggies, which usually consists of grated cabbage and carrots. 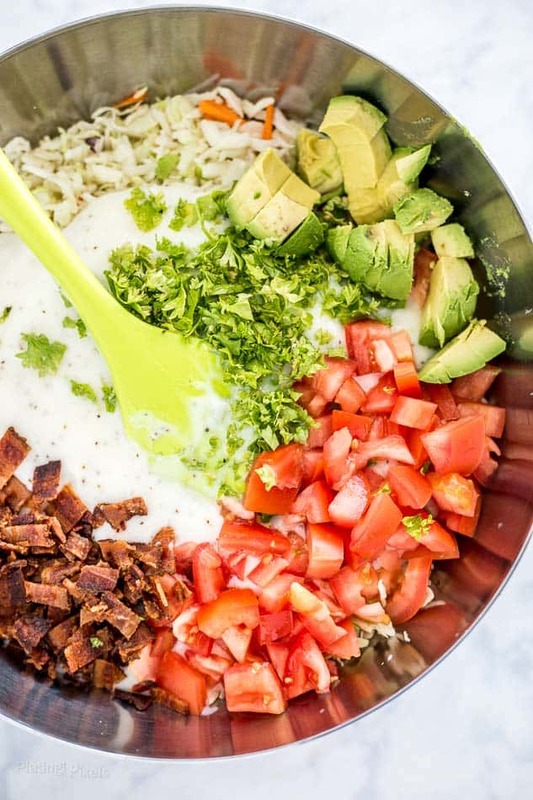 Add in chopped tomatoes, avocado, Litehouse Coleslaw Dressing, and cooked bacon pieces. For the dressing, I used Litehouse Coleslaw Dressing. It’s Mix & Serve Slaw: one jar of dressing and one bag of coleslaw veggies makes it an easy mix. It’s extra thick and creamy with freshly-made mayonnaise, and is the perfect blend of sweet and tangy. This thick dressing won’t “water out” when added to cabbage. You can also use Litehouse dressing on other foods like burgers, tacos, hot dogs and other BBQ staples. Since no preservative are used, the dressing must be kept chilled. In fact, because it’s sold cold, this saves time when prepping as all you need to do is mix and serve. No chilling required. 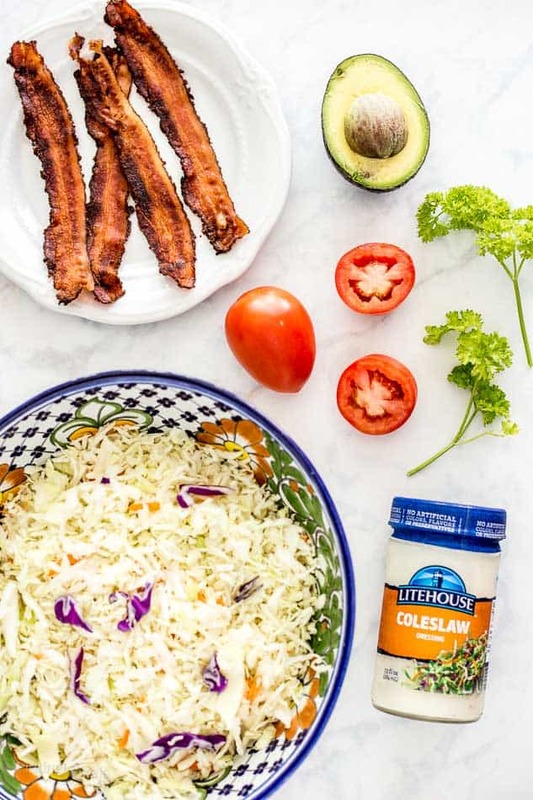 BLT’s are no longer limited to sandwiches with this quick and easy 5 Minute BLT Coleslaw Salad. It’s a unique pairing of flavors and textures to go with your grilled meats and summer gatherings. BLT Coleslaw Salad made in less than 5 minutes, with coleslaw mix, dressing, tomato, parsley, bacon and avocado. Place a few layers of paper towels on a large plate or microwave safe dish. Add bacon strips in a single layer, with space between. Cook on high 4-5 minutes, or until crisp. Pat tops with more paper towels to remove excess oil. Cool slightly, then chop. Meanwhile: In a large bowl, toss together coleslaw veggies and dressing until combined. Fold in tomato, avocado, parsley and cooked bacon. Serve immediately or store covered in fridge until ready to serve. 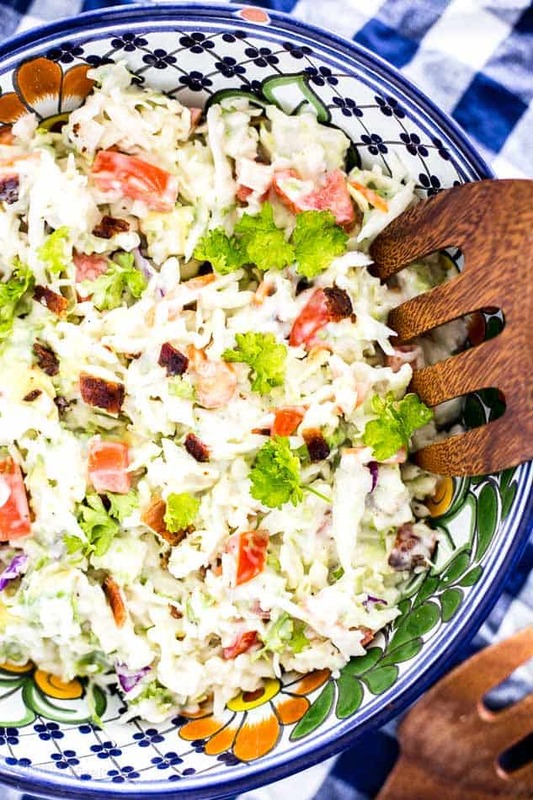 My family loves BLT’s and coleslaw, so this combination is genius! The coleslaw dressing and mix makes this dish so easy and everything is better with bacon. Such an easy side dish! 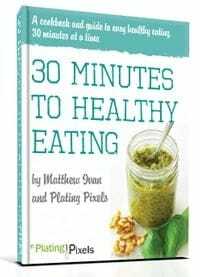 Great fast recipe to bring to a party! Adding bacon to coleslaw is just genius! I am definitely going to have to try that next time. I want this for lunch right now!!! That coleslaw dressing looks so good! That would make a great lunch addition, thanks Mindy!